If you’ve been at natural radio long enough to buy or build a portable receiver you must have found it’s limitations by now. Portable equipment is great for locating good quiet spots for listening to or recording natural radio signals. Once a good location is found you will need to spend considerable time there throughout the late evening, all through the night, or, from well before local sunrise into day. If you’ve experimented with any of these optimum times you have found limitations with portable gear. The time of day, the location and the duration of a recording session require transportation, some creature comfort, better equipment and a cheap and plentiful supply of power. There is a much better way to go about this. Go mobile. You’ll need a truck, car or van capable of transporting all the equipment to a remote spot that is not plagued with the 50/60 hertz power grid and it’s harmonics. Take your portable and start looking for a quiet spot far removed from civilization and at least 10 miles or more from high voltage transmission lines. You need to find a spot that you can park at odd hours or over night. Take the time to meet prospective landowners and inquire about permission to park and listen to natural radio. Things change. One of my best spots has recently been developed and a new power line brought within a half mile of my listening post. Disaster has struck. The 60 hz garbage is now overwhelming. Be prepared to look elsewhere as time goes by. Be responsible for your actions and leave no garbage behind to maintain a welcome status. 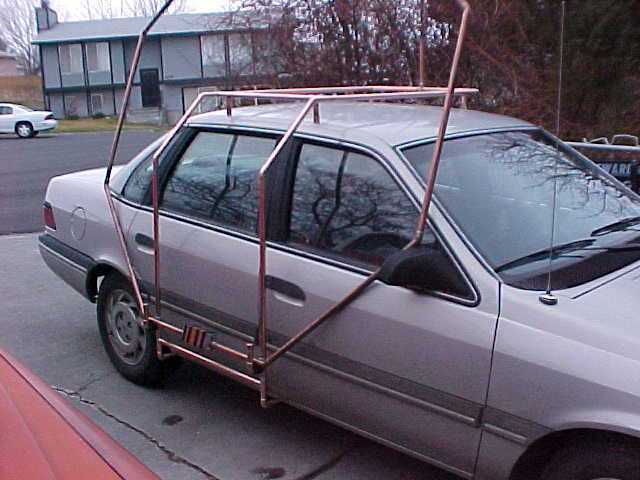 At this point you will need to build radio gear and antennas that you can transport in your vehicle. This site has designs for both. Feel free to build, modify or design your own. There is a really good shielded loop in the Library of the Longwave pages. 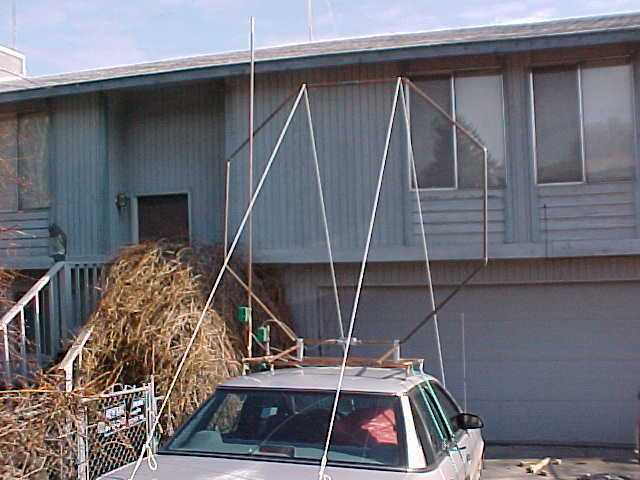 Vertical antennas are the easiest and most economical to build. Check out the roof top and door mount tubing vertical’s and holders. 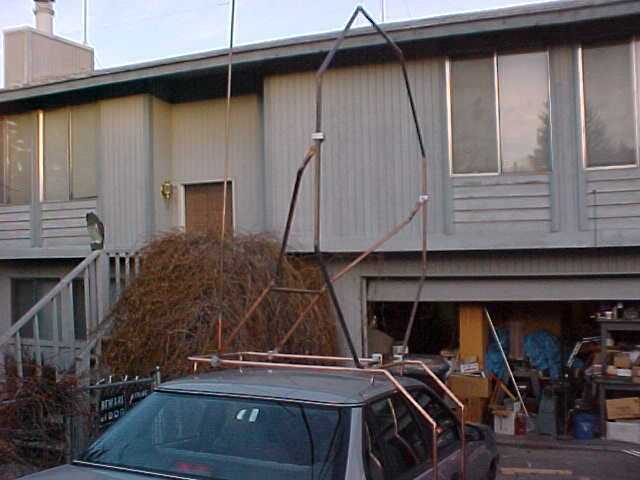 The downside with these vehicle mounted antennas is microphonics. 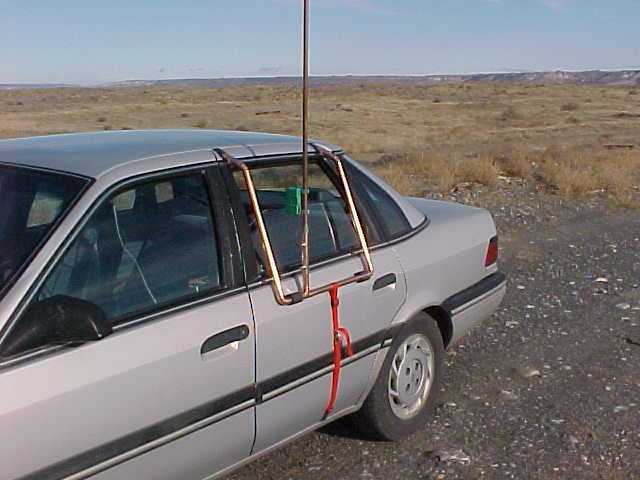 You will need to be quiet in your vehicle during recording sessions as any antenna like this will also act as a microphone. A much better approach is to construct a small portable mast with 3 guys and anchors. 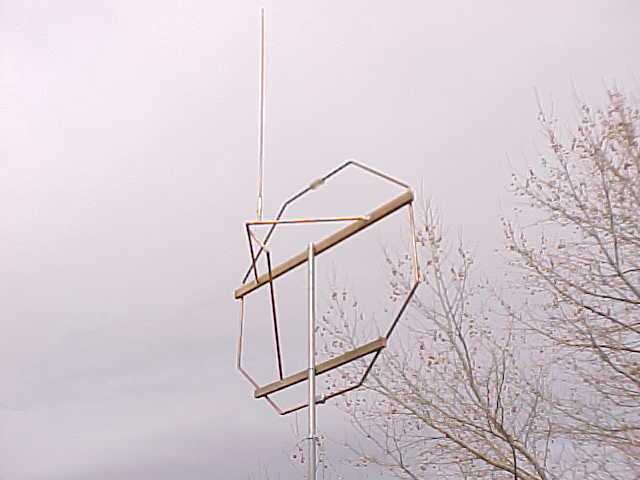 A portable loop can be built which plugs into the mast and a second holder for a vertical hi-Z field probe can also be included. See photo’s. The receiver you build can take any form desired. Discrete devices, opamps or what have you. You can build dead bug or ugly construction on bare PCB or take on a more ambitious project. The type of amplifier needs to be matched to the antenna. The vertical tubing or whip antenna will load into a hi-Z FET amp or opamp without any trouble. This type of amp won’t work with a loop antenna without a serious matching problem. Instrumentation amps or discrete device amps will be much easier to load and good performance will be attained. 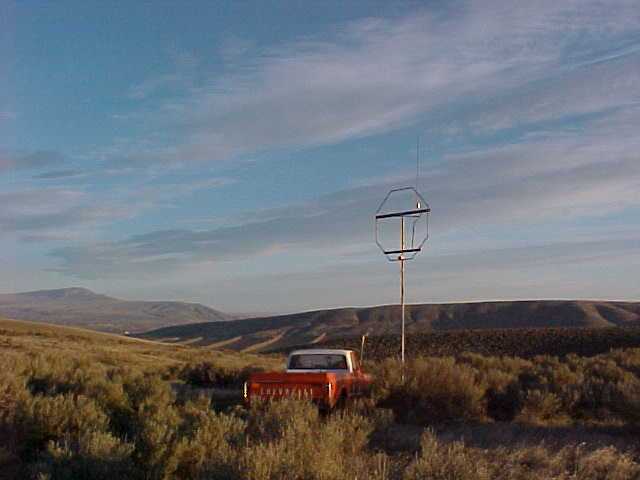 Using a mono system is certainly a good starting point and setting up a single vertical antenna and an amplifier and a tape recorder powered by your vehicle system poses no great difficulty. You can do more. Go stereo. Once you have a mono system running you are half way there. Mono is also the root of monotonous. That’s sure to happen especially when there are no serious geomagnetic storms to listen too. This can be improved upon by adding a second antenna and amplifier. What is needed is to combine both an E-field and an H-field antenna which can be mounted on the same mast. See photo’s. What you have here is diversity working in your favor. The electric and magnetic waves have much in common for sure. However, they also have some differences. You will find signals that do not exist in each field and vise versa. There are also phase and frequency shifts and delays that add delightful color to the listening experience. Some signals will take on motion effects as they begin in one channel and end in the other. If you find natural radio as fascinating as I do then adding stereo to the mix will really enhance your experiences. Get your soldering pencil and tools out and build some gear and go experience Mobile Stereo Natural Radio for yourself. Take a look at these pages for ideas and feel free to experiment or modify. Be sure to let us know how you improve the work or make suggestions or contact. Most of all have fun and good hunting. The vertical amp input is based almost on Steve McGreevy's design of BBB4 receiver. The Octoloop design is from Will PAYNE, in a library of LWCA. See at: http://www.vlf.it/directcontact/directcontact.htm for my email address.